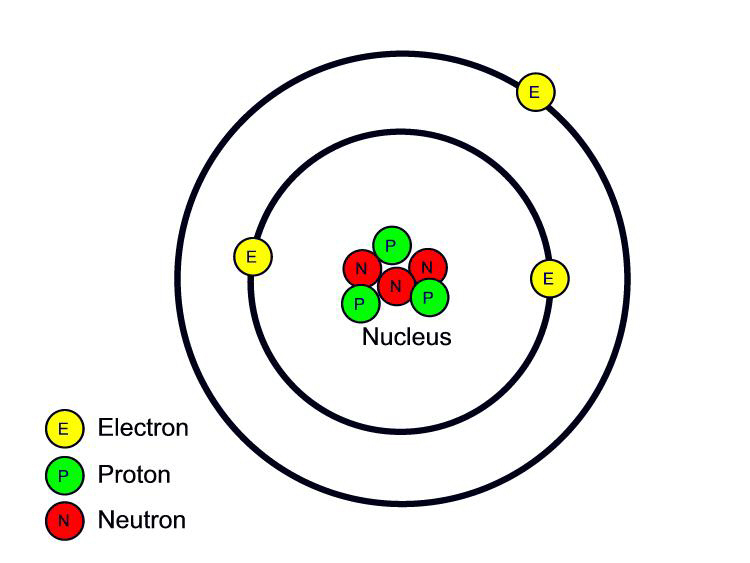 The protons of the nucleus (shown in green) are positively-charged. 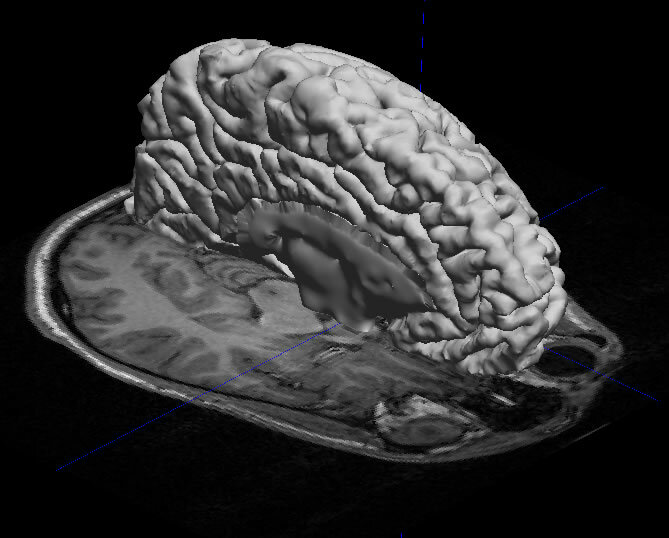 When exposed to the very powerful magnet of the MRI machine, the protons of your atoms become aligned with the direction of the magnetic field. 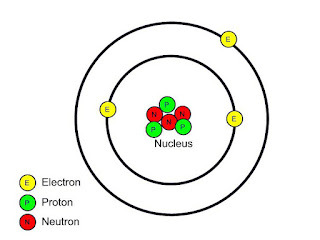 A radio frequency transmitter is repeatedly turned on and off, which produces an electromagnetic field and causes the protons to spin in the opposite direction. This change causes a radio frequency signal to be generated, and is detected by coils in the machine. 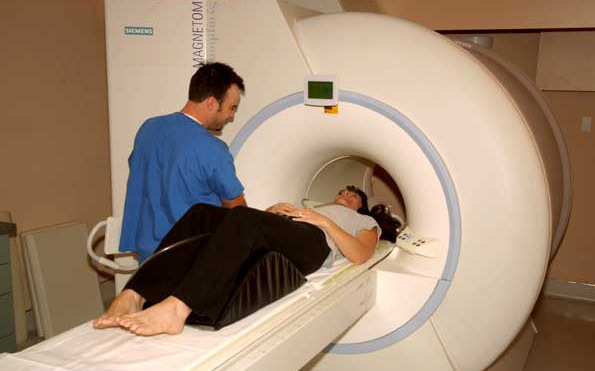 Contrary to popular belief, the MRI is a very safe procedure that does not give off ionic radiation (like X-rays).